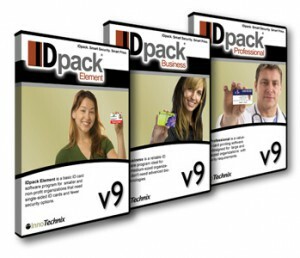 IDpack is the most comprehensive and flexible solution for ID card, badge and label production on the market. 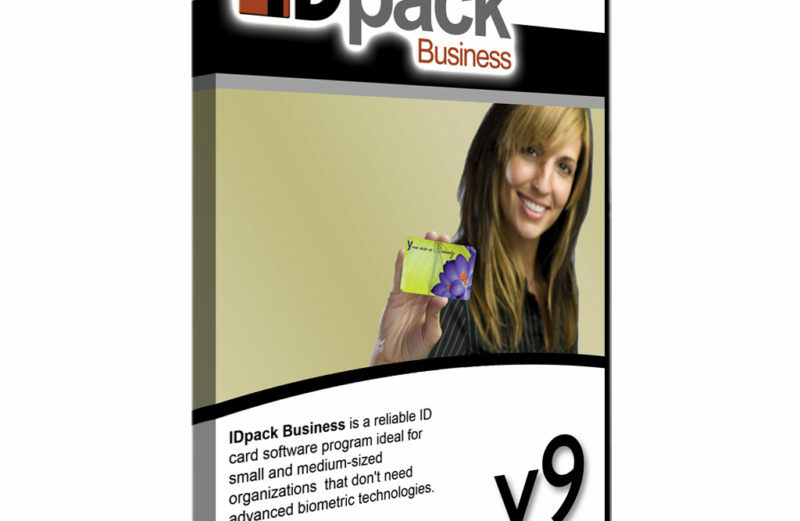 Unlock the power of your ID card printer with IDpack. More than 30,000 computers around the world are running IDpack, they can’t be wrong! IDpack helps organizations enhance their security requirements with access control cards, membership cards, convention badges, student ID cards, event passes, and other ID cards. Our software support ALL plastic ID cards like Evolis, Fargo, Zebra and Magicard. It also support paper badge with more than 1,000 Avery templates. We are now shipping version 9.1 of all editions: Element, Business and Professional. This release includes many optimized features and bug fixes. Our three major components (video, barcode and picture) have been updated to the latest available version. This software is used to print ID cards with a plastic ID card printer. In this new version, we have removed all the codes supporting Windows XP and the CamTracer. Windows XP is no longer supported by Microsoft and this major code cleanup provides a more stable environment than ever before. It will run faster, smoother and the video frame rate is now much better for HD capture. High Definition (HD) Video Capture provides a better quality picture, ultimately producing a high-resolution ID card. Nanotext print BLACK TEXT (K) on your plastic ID card that can only be read with a magnifying glass. Multilingual Support with an open XML format for unlimited language support. More than 300 minor modifications. Complete redesign of many windows like the Add Badge and Badge Layout. Support for Omnikey RFID reader, Internal and External module (Professional only). Save picture Disk, FTP and SQL Databases (MS Access, MS SQL and MySQL). All datagrids have been upgraded to Windows 7 and Windows 8 style. Ability to change the primary key to Numeric or String. Added Magstripe encoding after Print-Preview. Redesign of the Field Definitions.